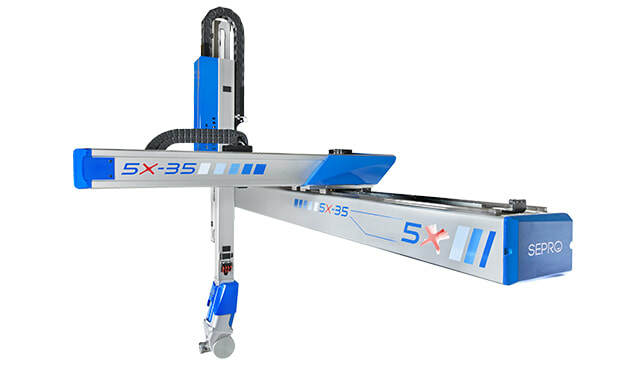 ​5X Line robots are designed from latest generation fast and precise Sepro 3-axis Cartesian robots with a Stäubli 2-axis servo wrist. 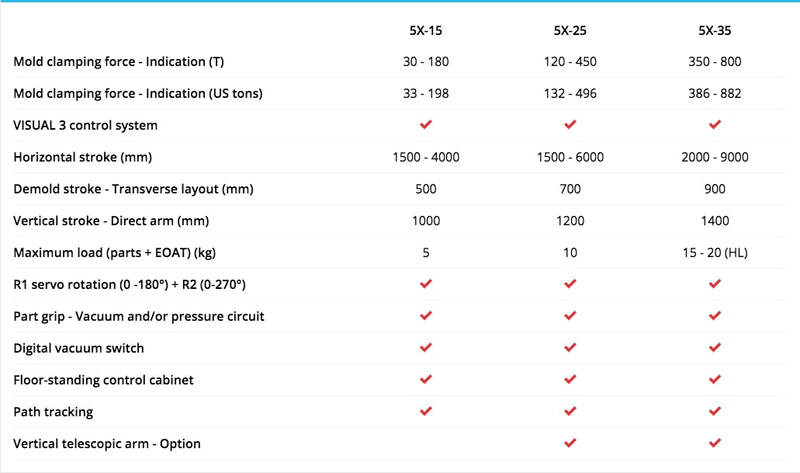 A unique combination that provides a number of solutions for automating injection molding machines. These robots installed on the IMM can be used for unloading and processing parts; they can be located at the end of the IMM to perform post-processing. They can be programmed quickly and efficiently thanks to the power and user friendliness of the Visual 3 control system.